In the Polynesian tradition, the necklace of shells is put around the neck while Polynesian or anyone leaves Tahiti or Polynesian islands. All family members and friends, who came to say goodbye, perform this ritual. When the traveler is a public figure, everyone can do this ritual. 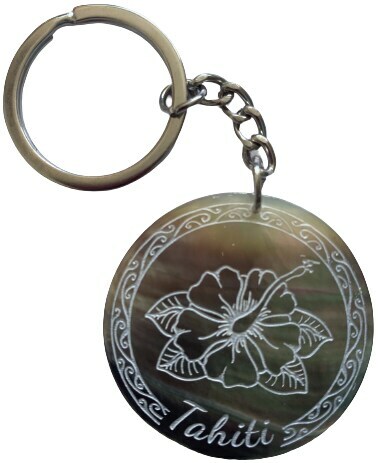 Protective gesture, it symbolizes respect, honor and good memories. Thus, the person who is leaving the "fenua" (territory) has to be ready to receive dozens of necklaces. Real lucky charm, the necklace of shells evokes the return to “fenua” in a relatively close future. This string of seashells brings to your interior a discreet touch of sunny islands, and an atmosphere of holidays in paradise. As fantasy jewel, you can also wear it around the neck or wrapped around the wrist.